Pluggable Authentication Modules (PAM) provide an authentication framework that allows multiple, low-level authentication schemes to be used by a single API. The Enterprise Edition of Couchbase Server, running on Linux, supports administrator-authentication through PAM’s Linux password-module. External authentication: Administrator-accounts defined on Linux systems, in the /etc/shadow directory, can be accessed for authentication-purposes by Couchbase Server. Password policy-management: Linux password-management can be used across different Couchbase Server-nodes; to synchronize, maintain, and expire administrator-passwords. Use of the PAM Linux password-module requires all cluster-nodes to be Linux-based, running the Enterprise Edition of Couchbase Server, version 4.6 or above. Additionally, the saslauthd library version must be 2.1.x or above. The following sequence shows how the PAM Linux password-module can be used with Couchbase Server 5.0 and above, to validate usernames and passwords, when administrators log into Couchbase Server. Supervisor access, via sudo, is required to perform most of the steps; and an editor is required, to allow you to edit configuration files. For PAM to be fully configured, the following procedure must be performed on each node in the cluster. If output to the above command does not confirm that MECH is set to pam, bring up the configuration file /etc/default/saslauthd in an editor, and manually set the MECH parameter to pam. If output to the above command does not confirm that MECHANISMS is set to pam, bring up the configuration file /etc/default/saslauthd in an editor, and manually set the MECHANISMS parameter to pam. 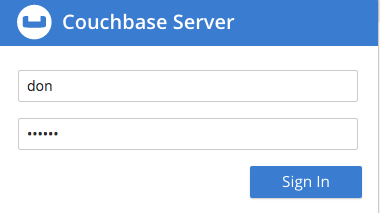 Set up PAM to authenticate the Couchbase service, by copying /etc/pam.d/passwd to /etc/pam.d/couchbase. Enter and then verify your chosen password, as prompted. Then, left-click on Save. 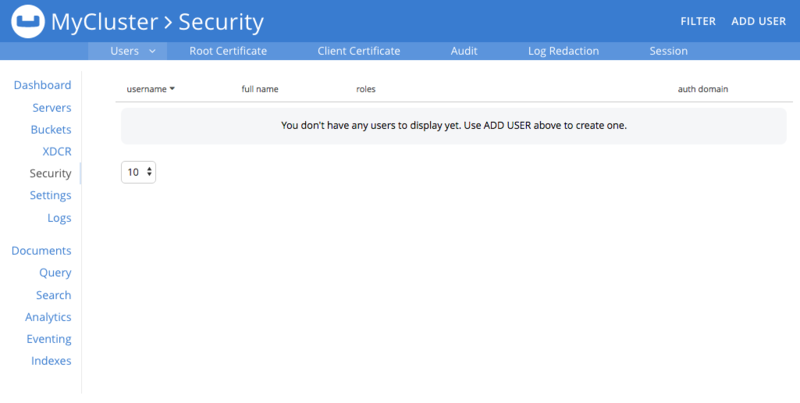 The newly defined user now appears in the Security view. In the terminal, restart the SASL service, to allow PAM authentication to take effect. Note: When this command is successful, the output confirms that the daemon has been started. If the command fails, and the output includes a line such as To enable saslauthd, edit /etc/default/saslauthd and set START=yes, bring up the file /etc/default/saslauthd in an editor, locate the line that reads START=no, and change it to START=yes. Then, save the file, exit, and rerun the command. Restart the Couchbase service, to allow external authentication through PAM to take effect. Left-click on the Sign In button. 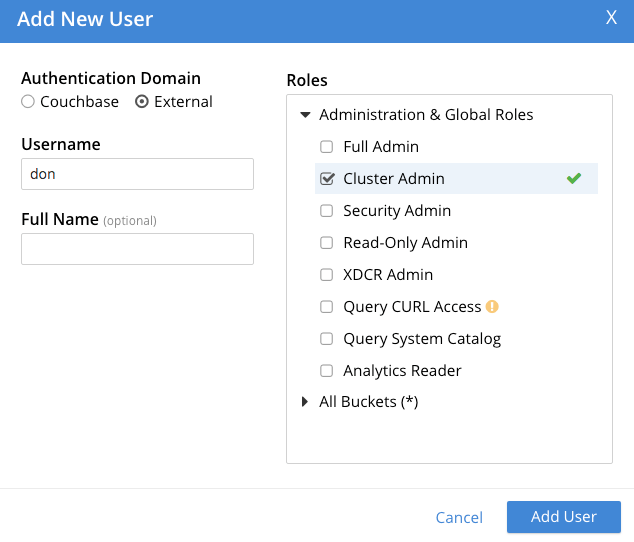 The user you created is now logged into Couchbase Server, as an administrator.